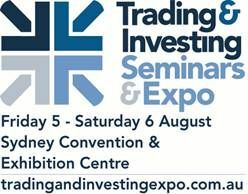 I will be speaking at the Sydney Traders Expo on Friday Aug 5 and Sat Aug 6. For a free ticket (save $18), sign up using the link below and when asked, enter the Promotion Code LIEN. See you there!